Dryness, redness, itchiness, peeling, flaking, allergic reactions... Not healthy or pretty. ProActiv is one of the most 'successful' skin care brands on the market right now. It promises beautiful, blemish free skin, a money back guarantee, and countless celebrities that rave about how it changed their lives and careers. Their marketing team is brilliant. So does ProActiv really work? What it actually delivers is a temporary solution to a deeper problem, heavily paid celebrity endorsements that therefore mean very little, and over sensitized, dried out, sun sensitive, bleached skin. Benzoyl Peroxide is a very popular ingredient in skin care marketed towards acne clients. It kills surface bacteria, which is present in pustules. It can be effective if used properly on the right skin type, which would be in very small doses on existing pustules as a last resort spot treatment to shorten the life of a breakout. At 2.5% strength, it should not be used as a preventative measure against future breakouts, but that's exactly how ProActiv markets themselves. Benzoyl Peroxide "works by reducing the amount of acne-causing bacteria and by causing the skin to dry and peel. [...] Avoid getting this medication into your eyes, inside your nose or mouth, or on any areas of broken skin since it may cause irritation." (source: webmd) Acne is, by definition, compromised, broken, and sensitized skin. Using harsh chemicals that are not approved for broken skin, on your broken skin, does not make the skin heal. Not all acne is oily acne. Benzoyl Peroxide causes the skin to dry and peel, but not all acne needs to be dried out. 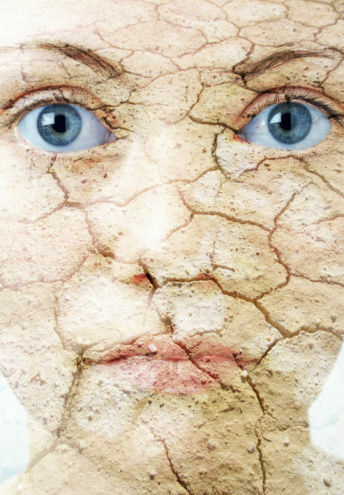 Many acne sufferers actually have dry skin, which responds to ProActiv's drying agents by becoming even more dry. When the skin is too dry, it starts overproducing oil to compensate. This makes the client believe they have oily skin, and they start treating their skin as if it's oily, which makes the problem worse. This vicious circle of drying and oiling damages the protective lipid barrier, making the skin more prone to infection, sensitivity, and sunburn. Benzoyl Peroxide is also a bleaching agent. It can bleach your hair, clothes, towels, pillowcases as well as your skin. Bleaching the skin irritates the skin and makes skin more sensitive to the sun. Benzoyl Peroxide can be effective for prevention of acne if the skin is slowly introduced in increasing doses. This process must be overseen by an Aesthetician with experience treating acne with Benzoyl Peroxide and who can tailor the rest of your skin care regimen and lifestyle. Everyone has seen the infomercials on late night television, full of actors and pop stars attempting to relate to the average acne client. “We pay our top celebrities between $2 and $3 million per year for their commercial time and often have between five and eight stars signed at a given time. Generally speaking we spend upwards of $15 million annually on spokespeople.” (source) These celebrities are hand picked to make the most money. If a celebrity doesn't sell as much as ProActiv thinks they should, they're dropped. Lindsay Lohan's 2006 infomercial is no longer aired and her photo is no longer listed on the company website. If a product actually works, why does it need celebrity endorsements? Justin Bieber was recently signed to amp up the product's "cool factor" in the same way P. Diddy was paid to. Celebrities are chosen based on their popularity, current media trends, and fan base. The company is trying to create a celebrity out of their own product in order to make sales. Money and sales numbers are everything to this company. When I was a preteen, my family tried ProActiv. We all suffered from cystic, pustular, or comedogenic acne. At first I was excited to try the product that so many people were raving about. After using it for a few days, I was confused as to why my face felt so tight and raw. "It has to get worse before it gets better," I was told, so I continued to use it. My face continued to feel tighter and more and more red and sensitive. I didn't notice any improvements. I finally stopped using it because my forehead was flaking off in chunks and it was rather terrifying. I've only peeled like that after second degree sunburns. Even all the prescriptions I got from a Dermatologist, which were just as harsh and ineffective, didn't make me peel this badly. We finally decided to return the product. The commercials claim a money back guarantee, making it seem like returning the product, even if the bottles are empty, will be hassle free. It was not. They continued to charge our credit card, we received another months worth of products we didn't want, and the phone calls I overheard became loud and frustrated. Apparently this is par for the course for trying to back out of their mail order system. I just found this article: Proactiv Horror Stories: Tales from Skincare's Biggest Scam and was horrified at how many other people have customer service problems with this company. The most fascinating part was from a former employee: "We were introduced to some really difficult guidelines right before I quit that basically boiled down to you don't refund anyone unless they threaten to call better business bureau or threaten to sue." I worked with a former ProActiv kiosk salesperson who told me about how she was instructed to become rude in order to refuse small sales that would negatively affect the sales average. If someone needed to buy just one product, they were pushed into buying more than one, even if they didn't need it, so that they wouldn't get in trouble with corporate for not meeting their sales goals. This kiosk was eventually replaced with a fancy vending machine, complete with mini TV playing celebrity infomercials on repeat. No need for employee payroll any longer! Especially since many of these salespeople at this kiosk still suffered from visible acne. Their website customer service seems to be equally as bad. I searched for a full ingredient list of ProActiv + for about 10 minutes on their website before a little chat window popped up by itself. Jessica: I’m a Proactiv+ Specialist. Can I answer any questions for you about the product or help you with completing your online order? You: I'm looking for the list of exact ingredients in each product. Jessica: Thank you for your interest in Proactiv+! Jessica: I would be happy to answer your questions regarding the ingredients of Proactiv+ products. You: I want the list of ingredients. Jessica: Below is a list of ingredients in each of the three steps. You: I don't want the active ingredients, I want a list of every ingredient of each product, and I can't find it. Jessica: Inactive Ingredients: water, sodium cocoyl isethionate, glycerin, polyethylene, lauryl/myristyl benzoate, linoleic acid, linolenic acid, butylene glycol, dimethicone, ethylhexylglycerin, acrylates/C10-30 alkyl acrylate crosspolymer, glycolic acid, sodium hydroxide, phenoxyethanol, fragrance. Jessica: Inactive Ingredients: water, ethoxydiglycol, glycerin, prunus amygdalus dulcis (sweet almond) oil, polysorbate 80, polysorbate 60, sorbitan stearate, carbomer, potassium hydroxide, disodium EDTA, fragrance. Jessica: Inactive Ingredients: water, butylene glycol, cetearyl alcohol, dimethicone, sodium polyacrylate, scutellaria baicalensis root extract, sophora angustifolia root extract, morus alba root extract, glycyrrhiza glabra (licorice) root extract, arctostaphylos uva ursi leaf extract, kojic acid, zinc gluconate, alpha-glucan oligosaccharide, sodium hyaluronate, bisabolol, allantoin, squalane, safflower oil/palm oil aminopropanediol esters, C12-15 alkyl lactate, caprylic/capric triglyceride, caprylyl glycol, ethylhexylglycerin, glycerin, ethylhexyl palmitate, hydrogenated polydecene, hydroxypropyl cyclodextrin, PPG-5-laureth-5, polyquaternium-11, ceteareth-20, aluminum starch octenylsuccinate, polysorbate 60, hexylene glycol, PPG-2 myristyl ether propionate, sodium hydroxide, disodium EDTA, phenoxyethanol, fragrance. I don't believe this was an actual human being. Using a robot to answer skin care questions is probably very cost effective, but not very effective for convincing me to buy the product. If I had been actually interested in purchasing this system, this "conversation" would have made me reconsider. The only positive I can see about ProActiv + is that it's not quite as bad as original ProActiv. There are a few good ingredients in these products, but they're buried under preservatives, thickeners, and fillers. Water, sodium cocoyl isethionate, glycerin, polyethylene, lauryl/myristyl benzoate, linoleic acid, linolenic acid, butylene glycol, dimethicone, ethylhexylglycerin, acrylates/C10-30 alkyl acrylate crosspolymer, glycolic acid, sodium hydroxide, phenoxyethanol, fragrance. Polyethylene is a thickener, emollient, and scrubbing agent. Acne should never be scrubbed. Butylene glycol is a petroleum derived ingredient that is used as a slip agent and preservative. It has mixed reviews, some saying it's harmful, and others saying it's fine. It may or may not be harming skin, but it isn't doing skin any favors. Dimethicone is a silica-based ingredient used as a skin conditioner, but it conditions by creating a barrier at the surface instead of hydrating the skin itself. Ethylhexylglycerin is a relatively new cosmetic ingredient that is used in place of parabens as a preservative. It has been shown to be a skin irritant that can cause contact dermatitis in two studies. Acrylates/C10-30 alkyl acrylate crosspolymer is a film forming agent. On it's Material Safety Data Sheet it states that prolonged exposure can exacerbate existing skin conditions. Glycolic acid is a fantastic ingredient for chemical exfoliation, but it makes skin more sun sensitive and must be used in combination with sun protection to be effective. Combining it with Benzoyl Peroxide makes skin very sun sensitive, and there are no sunscreens anywhere in the ProActiv line! Sodium hydroxide, also known as caustic soda or lye, is a highly alkaline product and known skin irritant. In concentrated doses it causes severe burns. Phenoxyethanol is a replacement for parabens as a preservative, and has conflicting data on whether it's harmful or not. In higher doses it can be a skin irritant. Water, ethoxydiglycol, glycerin, prunus amygdalus dulcis (sweet almond) oil, polysorbate 80, polysorbate 60, sorbitan stearate, carbomer, potassium hydroxide, disodium EDTA, fragrance. Ethoxydiglycol is a solvent and thinning agent. It's supposedly safe and non toxic, but it does contain ether, which is not safe or non toxic. Glycerin and Sweet Almond Oil are both good ingredients, but when they've been thinned down with water and ethoxydiglycol, their effectiveness is reduced. Polysorbates are surfactants and emulsifiers that help combine water with essential oils. Sorbitan stearate is a thickener and stabilizer. Potassium hydroxide, also known as lye, is highly alkaline and a skin irritant in high doses or after long exposure. Disodium EDTA is another stabilizer. Water, butylene glycol, cetearyl alcohol, dimethicone, sodium polyacrylate, scutellaria baicalensis root extract, sophora angustifolia root extract, morus alba root extract, glycyrrhiza glabra (licorice) root extract, arctostaphylos uva ursi leaf extract, kojic acid, zinc gluconate, alpha-glucan oligosaccharide, sodium hyaluronate, bisabolol, allantoin, squalane, safflower oil/palm oil aminopropanediol esters, C12-15 alkyl lactate, caprylic/capric triglyceride, caprylyl glycol, ethylhexylglycerin, glycerin, ethylhexyl palmitate, hydrogenated polydecene, hydroxypropyl cyclodextrin, PPG-5-laureth-5, polyquaternium-11, ceteareth-20, aluminum starch octenylsuccinate, polysorbate 60, hexylene glycol, PPG-2 myristyl ether propionate, sodium hydroxide, disodium EDTA, phenoxyethanol, fragrance. (Again) Butylene glycol is a petroleum derived ingredient that is used as a slip agent and preservative. It has mixed reviews, some saying it's harmful, and others saying it's fine. It may or may not be harming skin, but it isn't doing skin any favors. Cetearyl alcohol is a thickener that is comedogenic. 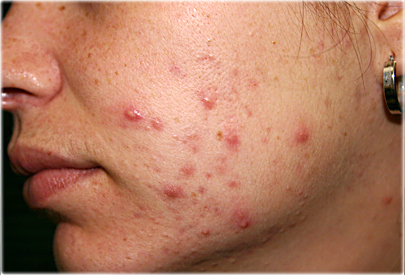 Clogging pores causes acne. (Again) Dimethicone is a silica-based ingredient used as a skin conditioner, but it conditions by creating a barrier at the surface instead of hydrating the skin itself. Sodium polyacrylate is a thickener that potentially causes organ toxicity according to the Environment Canada Domestic Substance List. Scutellaria baicalensis root extract (Skullcap extract) is an anti-irritant that would be effective if not combined with all of the other irritating ingredients in this line. Sophora angustifolia root extract "has been proven to demonstrate properties such as antibacterial, new-hair growth promoting, circulation promoting and skin-whitening effects." Promoting hair growth on the face is not desirable. Morus alba (Mulberry) root extract, glycyrrhiza glabra (licorice) root extract, arctostaphylos uva ursi (Bearberry) leaf extract, and kojic acid are all very good ingredients that would be effective at lightening dark spots if they weren't combined with all of the other ingredients that make skin more sun sensitive, which makes dark spots harder to treat. Zinc gluconate has been proven to be an effective anti-acne treatment because of its antibiotic properties, but all of the studies proving it have been based on zinc gluconate as an oral supplement, not a topical ingredient. It's also an anti-inflammatory, which would be effective without all of the inflammatory ingredients it's combined with. Alpha-glucan oligosaccharide stabilizes the bacteria on the skin, which wouldn't be needed without all of the antibacterial ingredients. Sodium hyaluronate is a fantastic ingredient that attracts water to the skin. Bisabolol, allantoin, squalane, safflower oil/palm oil aminopropanediol esters, are soothing and healing, and would be effective in combination with different ingredients. C12-15 alkyl lactate is an emollient and solvent. Caprylic/capric triglyceride is a moisturizer that contains fatty acids, which can sometimes clog pores. Caprylyl glycol is a skin conditioner and preservative. (Again) Ethylhexylglycerin is a relatively new cosmetic ingredient that is used in place of parabens as a preservative. It has been shown to be a skin irritant that can cause contact dermatitis in two studies. Glycerin can be an effective moisturizer when used with different ingredients, but it can dry out the subdermal layers of the skin in order to moisturize the surface. 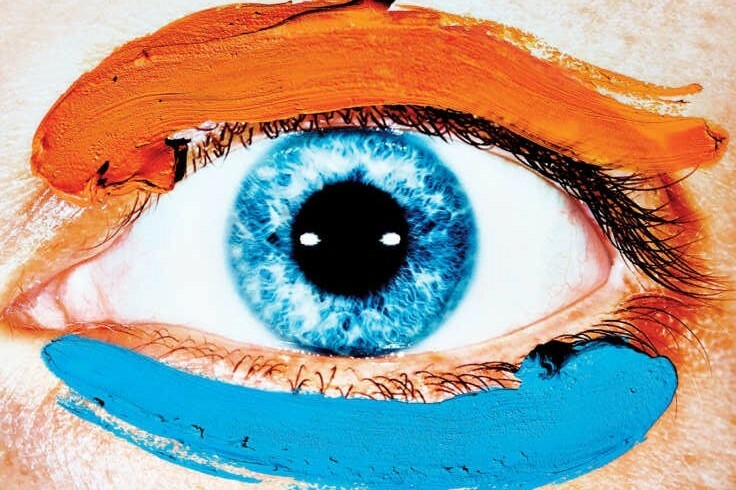 Ethylhexyl palmitate is a conditioner that can be an irritant around the eye area. Hydrogenated polydecene, hydroxypropyl cyclodextrin PPG-5-laureth-5 are synthetic emollients. Polyquaternium-11 is a filming agent and is often used in products marketed towards curly hair. It can cause buildup on hair and skin. Ceteareth-20 is an emollient and emulsifier that is very comedogenic and an irritant. Claims have been made that it is also carcinogenic, but more studies are needed. It is considered unsafe for damaged or irritated skin, which is the exact kind of skin that this product is marketed to. When this ingredient was used on burn victims it was shown to cause kidney damage. Aluminum starch octenylsuccinate is a thickening agent. (Again) Polysorbates are surfactants and emulsifiers that help combine water with essential oils. Hexylene glycol is a slip agent. PPG-2 myristyl ether propionate is a thickener. (Again) Disodium EDTA is another stabilizer. (Again) Phenoxyethanol is a replacement for parabens as a preservative, and has conflicting data on whether it's harmful or not. In higher doses it can be a skin irritant. These products are filled ingredients that make the products feel nice, ingredients that thicken, provide slip, and kill bacteria. The moisturizer contains only .5% Salicylic Acid, which actually unclogs pores. The few botanical, effective ingredients that calm and heal skin are buried under ingredients that irritate and dry out skin! ProActiv can be effective on a short term basis on the right skin type. Someone with very oily, very infected pustules (whiteheads) will see some improvements by using a product with Benzoyl Peroxide. This is the "bait" that gets people to start using this product and believing that this product will cure their acne. When the use of Benzoyl Peroxide is discontinued, since the pores are still clogged and oil production is not regulated properly, acne will return quickly, making the client believe even deeper that this product is effective. There are professional products that use Benzoyl Peroxide effectively, but it must be gently introduced to the skin very slowly, not in 2 different products at 2.5% each at once. The switch is the red, irritated, dry, sun damaged skin that is caused by long term use. At this point, the trial period is usually over, and the extremely pushy, uncooperative call center employees are there to keep you hooked and buying no matter what, because their jobs are on the line. At this point, anything (other than Apricot Scrub, of course) is better than ProActiv. Gentle cleansing, exfoliation, hydration, and sunscreen are all necessary steps to healthy, balanced skin. These are my favorite acne products. Some of them I sell, some I don't sell, but still recommend! Cleansing options: Organic Jojoba oil, any Bella di Terra cleanser, Aveda's Outer Peace cleanser, and Merle Norman's Anti-Redness Cleanser are my favorites. Toners: Bella di Terra's Coconut Citrus Toner, Rosewater for dry skin, Witch Hazel for oily skin, Aveda's Toning Mist, Aveda's Skin Firming Toning Agent. Serums & Spot Treatments: Bella di Terra's Organic Acne Spot Treatment, Aveda's Outer Peace Spot Treatment, Merle Norman's Renew Skin Refinishing Serum. Exfoliation: Sugar in jojoba oil, Exfoliating Grains, Aveda's Tourmaline or Clay mask, Merle Norman's Glycolic Rejuvenating Pads, Gentle White Clay Calming Mask. Sunscreen: Merle Norman's Ultra Light Sunscreen SPF 50 is my favorite sunscreen, and as someone with a glow in the dark complexion, sunscreen choices are very important. 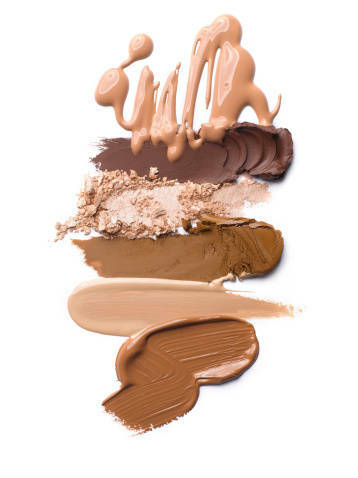 It doesn't clog pores, is safe for face and body, is water resistant and very light to apply. Keeping the skin from receiving inflammatory UV rays from the sun is key to preventing acne. Getting a facial is the best way of taking care of acne. An Aesthetician can customize a skin care routine to your specific needs and skin type. ProActiv's one-size-fits-all approach to skin care is another of their downfalls. A facial can also include extractions, which when done properly, can significantly improve acne, blackheads, and skin texture. A combination of products, facial treatments, and a professional to help customize your skin care regimen is the way to treat acne, not harsh chemicals that degrade the health of the skin. Did you try ProActiv at any point? What was your experience? Post in the comments below.